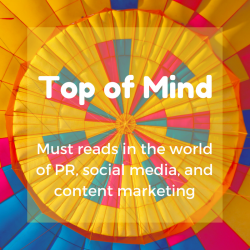 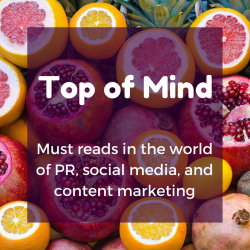 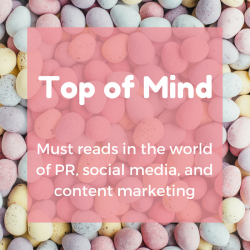 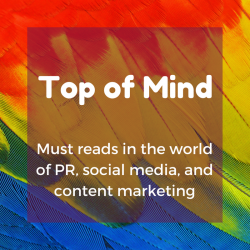 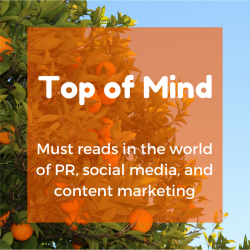 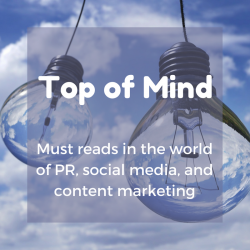 Top of Mind is a weekly, hand-curated selection of must read articles on public relations, social media and content marketing. 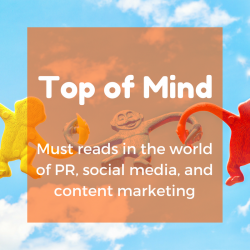 These are the articles that we are reading and reacting to this week. 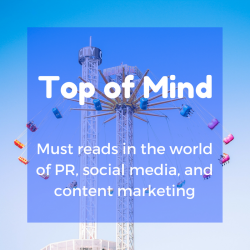 Expert PR advice is all about preparation and knowledge. 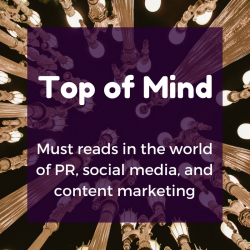 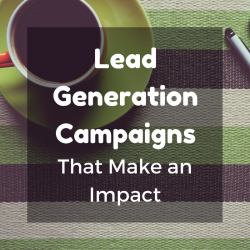 Hope these articles add to your ongoing education and PR toolkit.